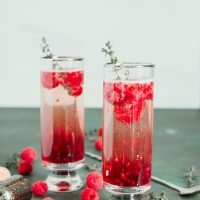 My raspberry Kir royale is a fun riff on the classic Kir royale. Just 3-ingredients and you have a champagne cocktail perfect for any brunch or celebration! Creme de cassis is hard to find. I don’t know why since it’s the main ingredient in a traditional Kir Royale cocktail, but it is. Thank goodness for Chambord. Chambord, or any raspberry liqueur for that matter, is a great substitute for creme de cassis. Creme de cassis is a sweet, dark red liqueur made out of black currants. And for some reason, I can never find it when I go to the store. If you are looking for Creme de cassis, try a specialty liquor store. 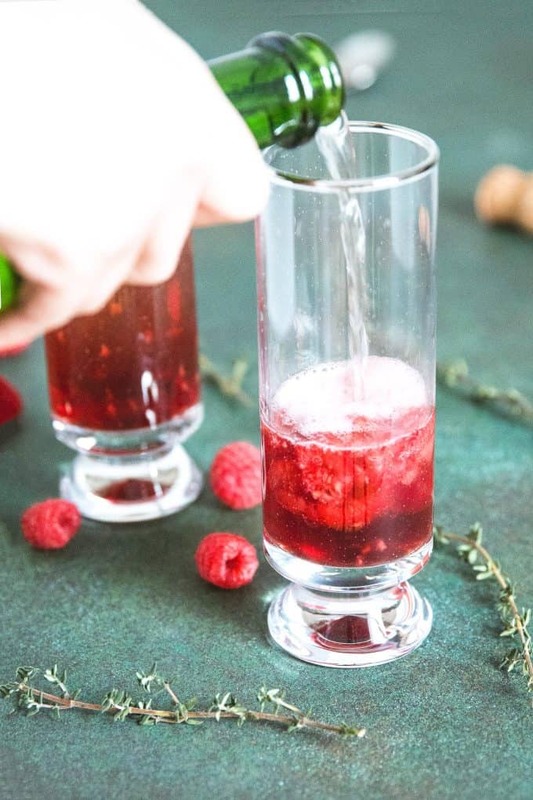 If you don’t want to go to the trouble… make my Raspberry Kir Royale. 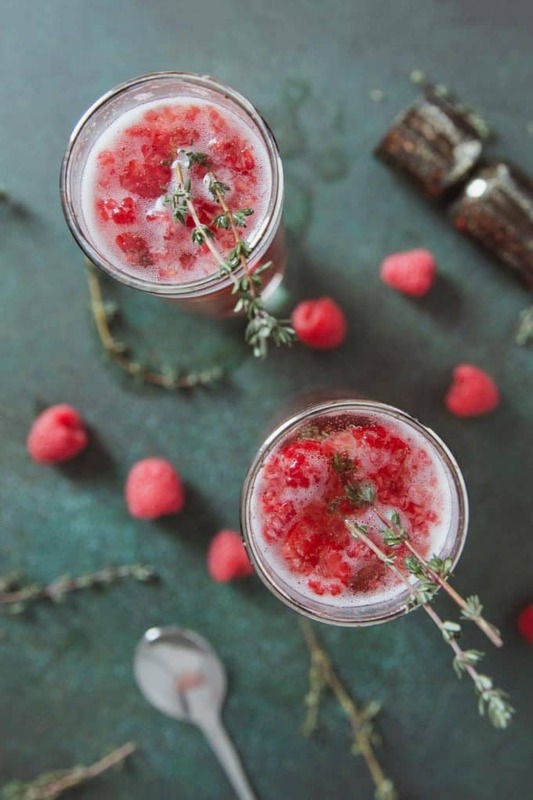 This 3-ingredient cocktail is perfect for holidays like Christmas, Valentine’s Day, and, well, any day. I always keep a bottle of Chambord and champagne handy for days I want this quick drink that I love. 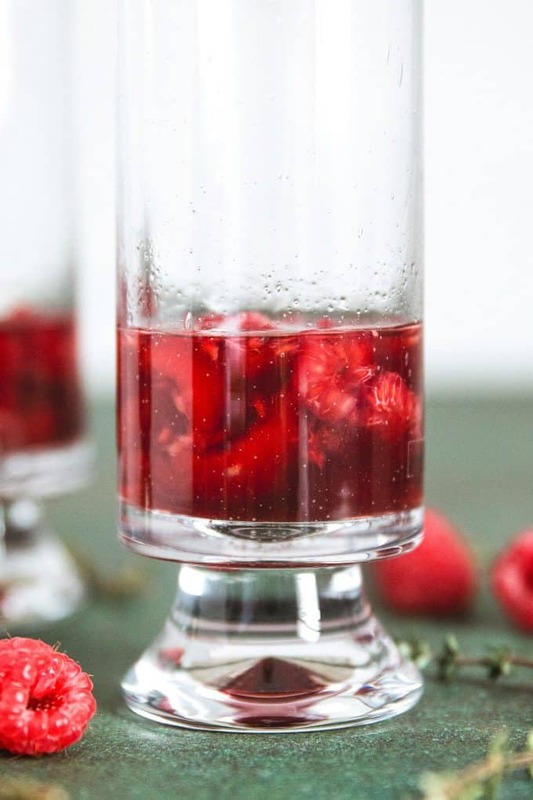 Start by adding the raspberries to a glass. Top that with the Chambord and smash the raspberries. Then top off the glass with Champagne or any other sparkling wine. WHAT KIND OF SPARKLING WINE SHOULD I USE? 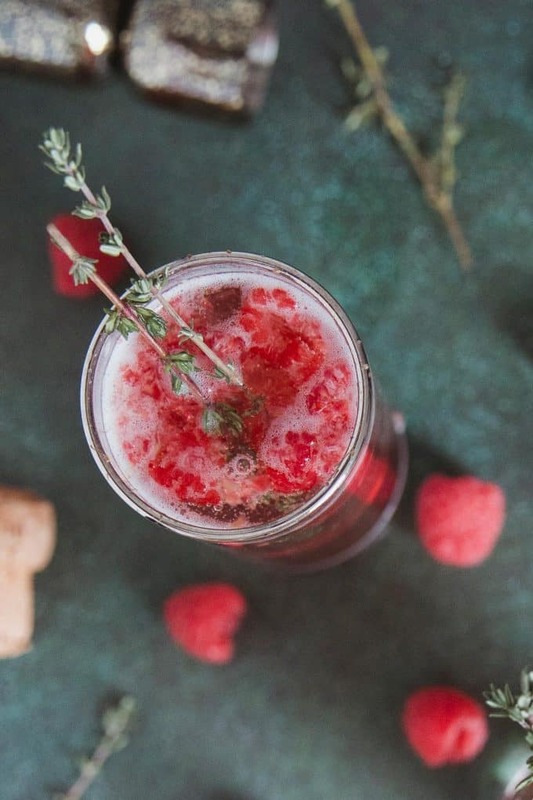 You can use champagne, prosecco, or cava in this drink. This guide to finding great sparkling wines that aren’t champagne is fantastic. 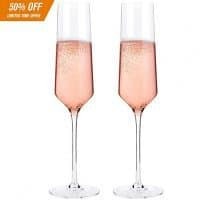 I often use cava for sparkling wine cocktails because it is a little cheaper and just as delicious as champagne. There are two different ways to smash the raspberries. When I want less dishes, I put the raspberries in the bottom of the glass and use a long-handled spoon to smash them. 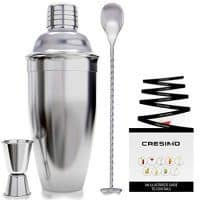 When I don’t care about the dishes, I use a cocktail shaker and a muddler. What glass should I use? My favorite glassware for this drink are collins glasses. 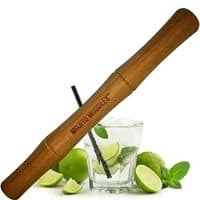 Champagne flutes are also a great option. 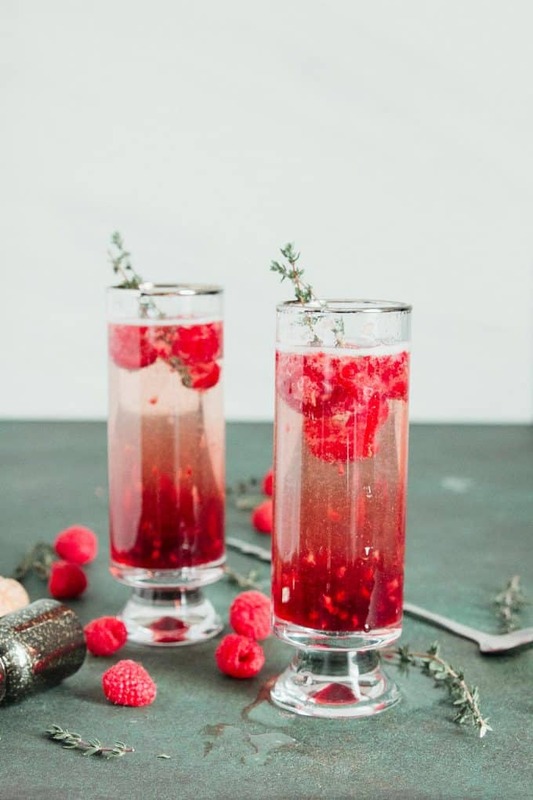 Add the raspberries and Chambord to a tall glass. Use a spoon to smash the raspberries. Top the glass with Champagne or another sparkling wine. Garnish with raspberries or fresh thyme.